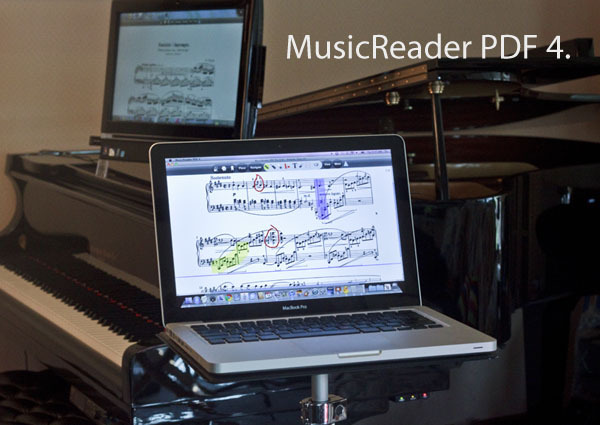 With MusicReader PDF 4, you can carry your entire music library with you wherever you go. Find any piece instantly. Create playlists and customize effortless page turns. View music in a variety of formats: zoomed half page, full page, rotated portrait (for non-Mac supported graphics cards), and double page views. Annotate your music with digital ink in multiple colors non-destructively. MusicReader PDF 4 works with all PDF files natively - no need to convert files. Mac and PC compatible, with an iPad version available separately. 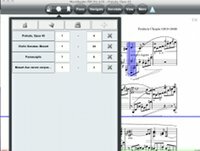 MusicReader PDF 4 also comes with a full set of musicians' tools, including an audio recorder and player, digital metronome, and an audio/visual tuner. MusicReader PDF for the iPad is available through the Apple App Store.